Left to right: Steven Rosen, M.D., Loretta Erhunmwunsee, M.D., Joseph C. Alvarnas, M.D. The objective of the forum is to address why the health care community needs to integrate the Cultural Demographic Shift (CDS) into their core value-based strategies and prepare for the unique needs of diverse patient populations for the betterment of all populations. The Forum will explore why leaders must begin to view diversity and inclusion as a growth strategy as the demand for individualized care and precision medicine defines the future of health care. Culturally diverse segments of the U.S. population (e.g., shift populations) have reached critical mass resulting in huge strategic implications for the health care industry. The influence of this CDS is telling us that growth strategies are becoming less about the business defining the individual and more about the individual defining the business. Recent provider, payer and physician strategies in health care have focused on “volume to value” – transitioning from a physician-led, fee-based system to a patient-focused, performance-based system to improve quality and reduce costs. But what is often missed when discussing value-based strategies are the huge strategic implications of the CDS. 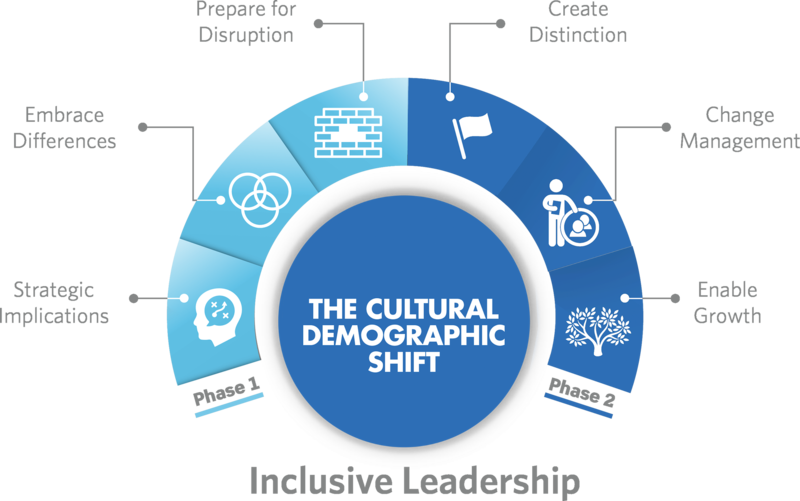 The Cultural Demographic Shift™ (CDS) framework guides the health care community to operationalize the CDS to best serve all patient populations. The impact of the CDS is forcing organizations to: 1) engage more authentically with their employees and patients, 2) embrace diversity of thought to strengthen outcomes across the enterprise, and 3) consider new patient-centered growth strategies to evolve. As a consequence, organizations must reinvent the way they work and lead to serve this Cultural Demographic Shift™. This requires Inclusive Leadership. Expand our approach to diversity and inclusion as a strategy to strengthen our business models. Solidify employer brands and employee impact and influence and develop the next generation of leaders. Embrace cultural fluency to improve diverse patient population intimacy and increase quality of care from physicians and others culturally equipped to help them. Create platforms for self-advocacy and improved health outcomes by welcoming shift populations into the health care industry and recognizing the vulnerabilities surrounding their immediate health care needs and overall cost of care. We must activate an ecosystem of private-public partnerships that solve for population health and the CDS: A more focused, holistic approach is required among stakeholders committed to solving for the health, wellness and societal advancement of shift populations. Proactively tending to their and their families’ needs demands a highly strategic and collaborative effort between these communities and those who serve them. We’re sorry the VIP Code does not match our records. Please contact Sandy Sickler at sandy@glennllopisgroup.com if you have problems signing up for the forum. © 2017 City of Hope and the City of Hope logo are registered trademarks of City of Hope City of Hope strongly supports and values the uniqueness of all individuals and promotes a work environment where diversity is embraced.